It’s been hot here all week. Our trip to San Antonio was hot; the first 3 days of this week in Houston the car temperature gauge and the garden thermometer have read 110f (that’s 43c), the pool has crept up to 96f (36c – more like a bath than a pool). Today was a bit cooler, but very humid. 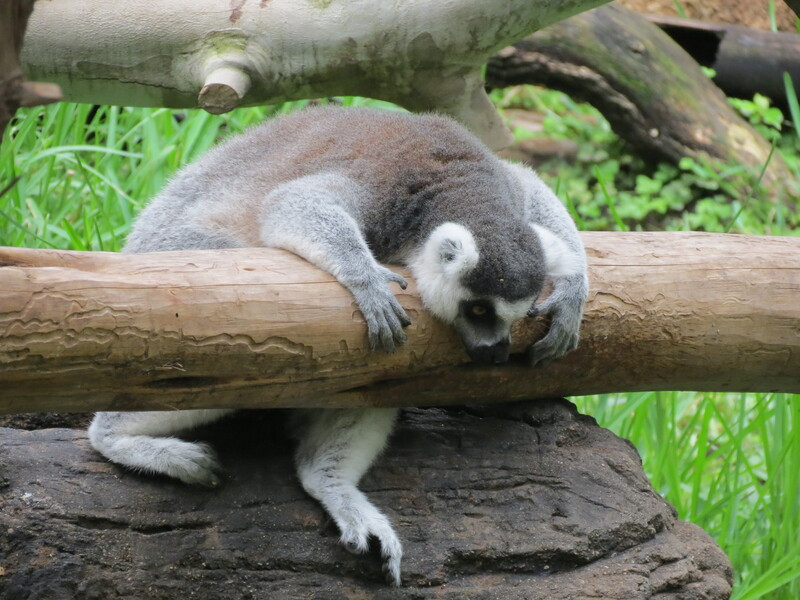 So, the perfect day to take two small children to the zoo (or not…) Particularly two small children who are not keen on biting insects (lots of mosquitoes out) and strong smells (hot conditions plus animals means it was a bit smelly!) But despite both girls trying to have a bad time at the zoo, we had lots of fun with my Mum. We stood watching him and he didn’t move for 5 minutes. He just hung there looking hot. Perhaps he was waiting for someone to pass him an ice cold drink with a long straw? Even the ostriches and giraffes looked too hot. The bears were all asleep, some of the other animals were hiding in shady places or inside. 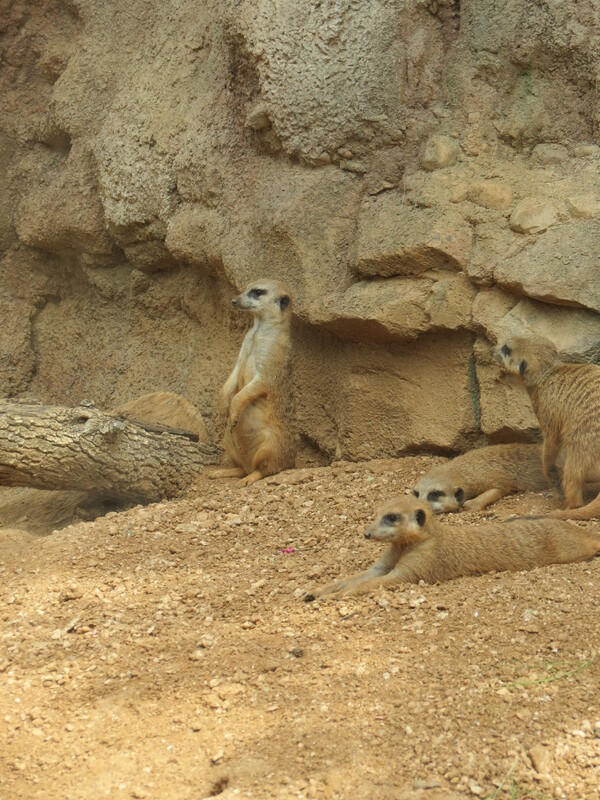 The only animals seemingly unaffected were the meerkats. They were still scampering around, running from one end of their enclosure to another to find out who or what was making the noise or was most interesting. The girls were most interested in seeing the cougar as these live in America and we’ve see warning signs up about them (mountain lions) in California and Texas. They are also interested as we’re currently reading Little House in the Big Woods (the book before Little House on the Prairie) and there is a story in there about a panther (otherwise known as a cougar). There was great excitement when we saw one. After that and an ice cream, the only thing to do was to spend some time in the air-conditioned gift shop before heading home. Get some Skin So Soft (the original scent) from Avon for the mozzies! I have no idea why it works just that it does. My mom always used it on us and I imagine if it can keep mosquitoes off of us in the NH woods then it should work in Texas too. Plus, it smells good! I’m just going to order some… Never encountered mozzies at the zoo like that before. I’ve got 10 bites on me! I’ve not been bitten for weeks.